A healthy and fast dinner side dish that everyone will love. 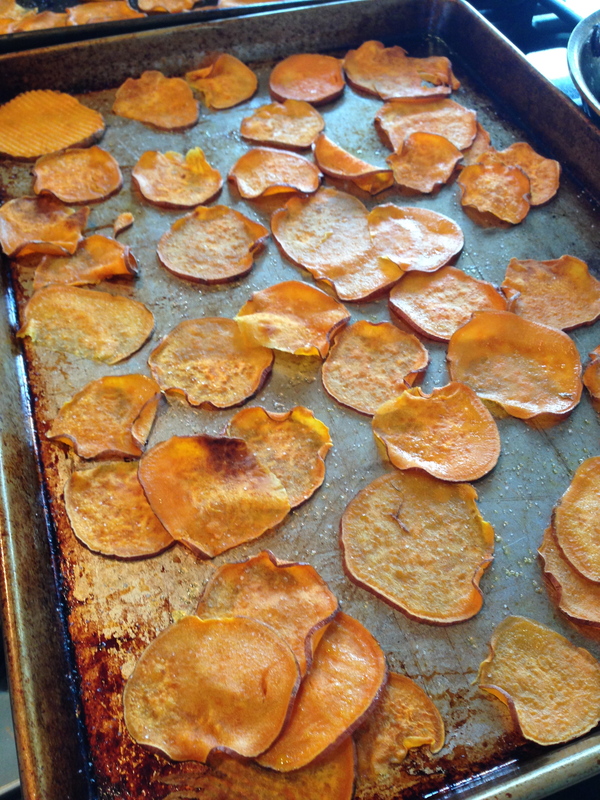 Slice sweet potatoes very thin (a hand-held mandoline slicer works perfectly). Place on a baking sheet, brush with olive oil and season with salt. Bake for 15 to 20 minutes until crispy and golden.